Turkey’s state-run aid agency provided 1,000 flood-stricken families in Zimbabwe with food items, a statement released on Thursday said. 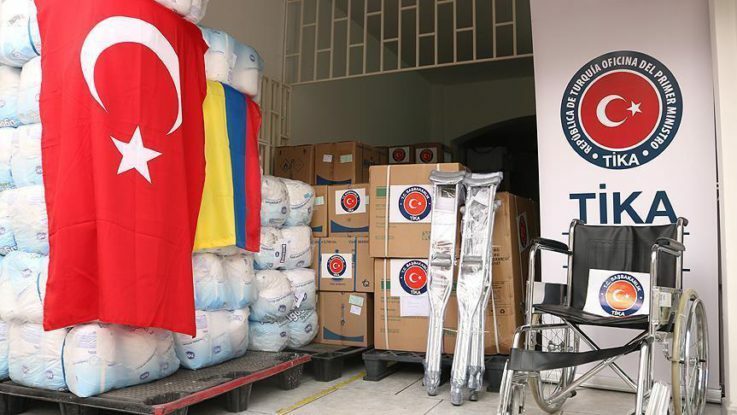 The Turkish Cooperation and Coordination Agency (TIKA) sent 35 tons of essential food supplies including flour, rice, sugar, tea and oil to families displaced by a flood this year. A ceremony attended by Zimbabwean officials took place in Hopley, an underprivileged settlement in the outskirts of capital Harare, following which aid was distributed to families on Tuesday and Wednesday. “Turkey through TIKA supports people around the world who live in difficult circumstances, without any discrimination,” said Kadir Hidayet Eris, Turkey’s Ambassador in Harare. The aid was sent as a response to a request by one of Zimbabwe’s non-governmental organizations. At least 246 people were killed and 2,000 stranded due to the heavy rains, that hit southern parts of the country in March.